During the past four years, the opposition St. Kitts-Nevis Labour Party (SKNLP) in the Federation of St. Kitts and Nevis has relentlessly pointed out numerous instances in which the Dr Timothy Harris-led coalition government’s actions were perceived to be anti-democratic. Further, the SKNLP has repeatedly accused the administration of creating and spreading what is describes as “an atmosphere of fear” throughout the country that caused citizens to refrain from exercising their constitutional rights to free speech and self-expression. 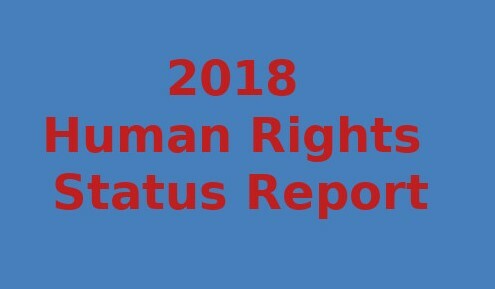 The publication of the United States’ 2018 Countries and Human Rights Report for St. Kitts and Nevis reveals that a number of these serious accusations are, in fact, accurate. The SKNLP publicly promised the federation following its loss in the 2015 general elections that although it was in opposition, it would be responsible and dedicate its time and efforts to speaking and advocating on behalf of the people. The 2018 Human Rights Report’s publication of issues raised by the SKNLP as well as concerned citizens and residents of the country confirms that the Party has kept its word to the people. It also gives strong credence to the Party’s classification of the Harris administration as a dictatorship masking itself as a democratic government.